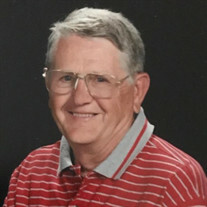 GLEN MILO ANSETH, 76, left his earthly body February 11, 2019 after a sudden illness/accident. Preceded in death by parents, Clarence & Gladys Stokke Anseth of Noonan ND, brothers Duane (Eva) & Donald (Muriel) Anseth, step-mother Lucille Gausvik Anseth, sister in-law Roberta Swiney, nephew John Swiney; he is survived by wife, Sharon Swiney Anseth whom he married in 1976; step-son Michael (Lori) Campbell; daughters Erin (Jason) McDaniel, & Kaycee Anseth(Casey Corcoran); and step-grandson, Kevin Campbell. Also surviving are siblings Eleanor (Ben) Hahn, Les (Sandy) Anseth, Becky (Keith) Wilson; step-sister Barbara (Glen) Spooner; brothers in-law and sisters in-law Eva Anseth, Muriel Anseth, Joe & Marge Swiney, Barbara Gibson, Bob & Joanne Swiney, Richard Swiney, Tommy & Phroncie Swiney, Donald & Marcia Swiney; several dozen nieces, nephews, and cousins. Glen was born and raised on the family farm in Noonan ND graduating from Noonan High School in 1960. After graduation he joined the US Navy serving from 1960-1963. An electrician's mate, he served aboard the CVA 60 carrier Saratoga, and was part of the fleet patrolling the Caribbean during the Cuban Missile Crisis. Upon graduation in 1966 from ND State School of Science Whapeton, ND, Glen served an electrical apprenticeship before earning his journeyman wireman's license. Over the years he worked in ND, CO, WY, AZ, IA, TN, NC, GA, FL, KY, MT, and IL at various missile sites, power houses, hospitals, and car plants both in the construction and maintenance phases. He took a 3 year break from electrical work in the mid 1970s to raise durum wheat on his family's farm. He retired in 2004 after 30+ years of membership in IBEW unions in Grand Forks ND (1426), Minot ND (714) and Nashville TN (429). A pin for 50 years of union membership was to be presented in the spring. After living in Columbia TN from 1989-2004, upon retirement Glen moved to Morristown TN where he was currently living. An avid outdoorsman and sports fan, Glen spent his retirement years following the WSCC Senators baseball, basketball, and softball teams, as well as caring for and teaching his grandson to love the outdoors, too. Most other times you could find Glen with a book in his hands pursuing that favorite pastime; unless it was snowing-then he pulled out a new 1000 piece jig-saw puzzle to work. A life-long Lutheran, Glen attended Bethlehem in Noonan ND, St Paul in Garrison ND, Trinity in Columbia TN, Good Shepherd/Morristown, and was attending Our Savior Lutheran/Morristown at the time of his death. Memorial services will be held both in TN, and ND. Saturday, March 9, 2019 a service is to be held at Our Savior Lutheran Church, 2717 Buffalo Trail at 11am, followed by a meal and remembrances in the church dining hall. In lieu of flowers, the family prefers memorials to OSLC, WSCC Foundation/Athletics, TCDC, or charity of your choice. The ND service is set for Noonan Saturday, May 25, 2019, 2pm at Bethlehem Lutheran Church, followed by a military burial Long Creek Cemetery, rural Crosby, ND. In lieu of flowers in ND, the family prefers memorials to Bethlehem, Long Creek Cemetery Fund, IBEW Local 714 Scholarship Fund, or charity of your choice.